Jim Murphy has been a director of Spirit Aid since 2008 and currently holds the post as Vice Chairperson. 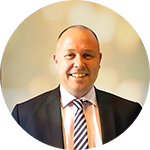 He was previously a senior partner in a firm of Chartered Accountants based in Glasgow and now acts as a management consultant and advisor to a number of privately owned companies. 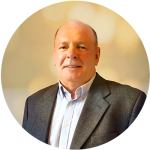 Jim has acted as auditor and advisor for various charities and social enterprises and currently acts as a director for a number of charities. He has considerable experience in financial management and corporate governance. 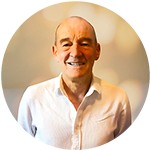 David Hayman is a Multi Award winning Actor, Director and Broadcaster. He has four Honorary Doctorates, a Fellowship, The City of Glasgow’s Gold Medal and the Institute of Scotland’s Hetherington Gold Medal and the Variety Award for Outstanding Scottish Achievement, all for services to the Arts and Humanity. David set up Spirit Aid in 2001 and has been its director of operations ever since. 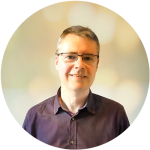 Patrick Rolink has more than 20 years’ experience as an event organiser and has been involved with Spirit Aid for more than 15 years, and currently runs the Spirit Aid office on a day to day basis. Martin has been in the people business for 30 years and in his own businesses for 21 years. His experience is unrivalled in various industries, he is driven by his values and believes in total service and delivery blended with honesty and integrity, his reputation is everything. Martin wants to make a difference through changing people lives both individually and collectively. As an individual Martin is a passionate leader, influential, practical and accurate. 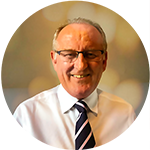 Jim Ridley is the logistics expert who brings a great knowledge of transport and distribution which are vital skills that support our toy and food hamper appeals, through his expertise we can reach far out into the community and have support delivered to those most in need. 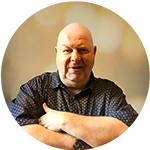 Graeme Johnston is a local business man who brings a wealth of knowledge in finding sponsorship and funding that will be used to support the work that Spirit Aid does in our local communities. Mitchell Gibb has been fundraising for various charities for more than 20 years and has raised hundreds of thousands of pounds to support those in need, he has a wealth of ideas and a passion for arranging great events that generate valuable donations to Spirit Aid. Gillian MacAdam works in Education and has an incredible awareness of the needs of young people who feel left out and neglected, she works on the “coal face” and ensures that the support we offer is not prescriptive, but targeted in the most effective way to meet the needs of our youth. Mhairi MacLeod is an experienced campaigner for sustainable help for our youth and has a passion for projects that empower young people and offers them opportunities to fulfil their potential. Jim Murphy has been a director of Spirit Aid since 2008 and currently holds the post of Vice Chairperson. Bill McGowan is a qualified and successful Commercial and Personal Banker whose career spanned over forty-two years. Bill’s voluntary work in the past included an active member and fundraiser for MS Charity called Revive. Also was on the board of Sounds of Progress for a short time and amongst other services, that this charity provided, was the opportunity for people with disabilities to participate in music and arts. In addition to above, Bill has been an active participant and/or donor in fundraising efforts for many national and local charities in recent years including, Hospice UK (formerly Help the Hospices); St Margaret of Scotland Hospice; Spirit Aid, British Heart Foundation. 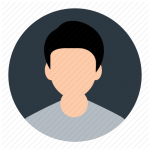 An enthusiastic individual, Bill also brings great energy and creativity to whatever he becomes involved with. Various local Communities in both fundraising and Active support. Spirit Aid benefit’s greatly from Martin’s Experience and contacts in the World of Business and Sport. Veronica Hetherington has extensive knowledge of funding and the Third Sector in Scotland, having worked at the Big Lottery Fund for the past 13 years. Born and brought up in the North of Glasgow, she is passionate about supporting and empowering ordinary people to tackle disadvantage and inequality in their communities and beyond.